Paul Hobbs is recognized the world over for his ability to recognize exceptional terroir and for producing wines that reflect that clearly. (This is the man that Forbes called “The Steve Jobs of Wine”.) 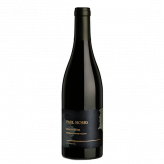 Paul makes some of Napa Valley’s most highly acclaimed and collectable Cabernet Sauvignons, and his ability to recognize and express exceptional terroir has led to equally exciting Sonoma County Chardonnay and Pinot Noir. 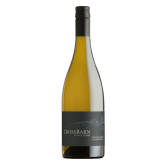 Twice named “Wine Personality of the Year” by Robert Parker Jr., Hobbs continues to be one of the world’s leading consultant winemakers. To say that Paul is detail-oriented would be a considerable understatement. His exacting vineyard practices and site selection combine with a minimal-intervention approach in the cellar to produce expressive wines that sing. 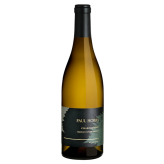 Hobbs prefers to ferment on indigenous yeasts and bottle his wines unfined and unfiltered. Hobbs has played a part in a number of ambitious endeavours in modern fine wine. He was hired by Robert Mondavi for his advanced understanding of oak aging. He went on to become winemaker for Opus One and Simi wineries, and then to consult for Peter Michael, Fisher, Lewis, Cateña, and others. 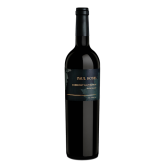 He founded Paul Hobbs Winery in 1991, followed by Viña Cobos, his Argentinian project, in 1999. His next winery, CrossBarn, began as just one small lot of Cabernet Sauvignon from the 2000 vintage. That small lot’s popularity inspired the introduction of Chardonnay, Pinot Noir, and Sauvignon Blanc. 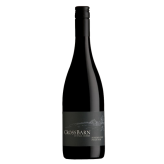 With CrossBarn, Paul holds to his ideals, sourcing fruit grown in the healthiest vineyards and employing gentle winemaking techniques to bring you wines of stunning quality and exceptional value.